When you just can't come to an agreement, court isn't the only answer. Arbitration is an out-of-court means of dispute resolution. When parties have a disagreement, the 'arbitrator' or 'arbiter' is a neutral third-party that reviews the case to determine what action should be taken, and will determine the terms under which the dispute will be settled. The decision of the arbitrator is final, and may be legally binding or non-binding. If you have a dispute with your employer or over a commercial contract, it is likely that arbitration is mandatory to resolve any issues. Being an easier means than taking anyone to court, arbitration is often required for resolving disputes within a company and is most often used in settling commercial disputes. 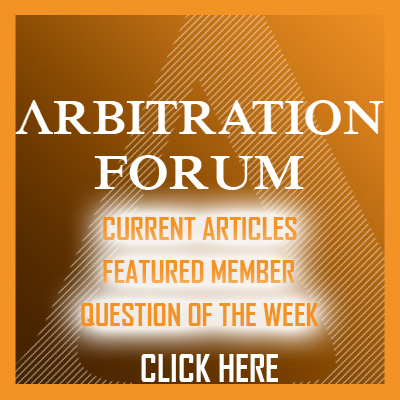 Does arbitration sound like your solution? Get started today – find the arbitration attorney or arbitrator you need in any specialty, in any state. India recently was awarded a six week extension to determine how to reply to the $5.6 billion claim against it by British oil explorer Cairn Energy PLC. The dispute comes from an Rs29 047 crore retrospective tax demand. In June, Cairn filed a 160 page Statement of Claim before a three-member international panel. The claim sought to quash the retrospective tax demand on a more than 10 year old international reorganization of the company’s India unit. It also sought $5.6 billion in compensation. Originally, India had until the end of November to respond to the claim, but at the arbitration hearing, the panel determined the country can wait until mid-January 2017 to file its response. The government had requested the arbitration be put on hold and instead requested a parallel arbitration to be settled first. According to those familiar with the arbitration ruling, the panel did not give a position concerning India’s demand, but simply gave more time to file a response. Cairn had been issued a tax notice in January 2014 for capital gains on the reorganization of its India unit, and three months later, received a tax demand for failing to deduct those capital gains. Cairn Energy and Vedanta, the company from which Cairn purchased Cairn India in 2011, each initiated arbitrations against the tax demands. Cairn India then initiated an arbitration in March 2015, but at a recent hearing, the government determined those proceedings should be placed on hold. Cairn Energy has filed a challenge against the tax assessment under the UK-India Investment Treaty, which provides for resolution of tax issues.